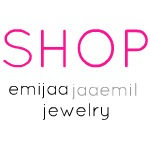 As a jewelry designer, beads make my world go round... So it was love at first sight when I spotted this beauty at my favorite thrift spot in Virginia. I've had it in my closet for quite some time now but could never seem to find the right moment or even outfit to pair it with. 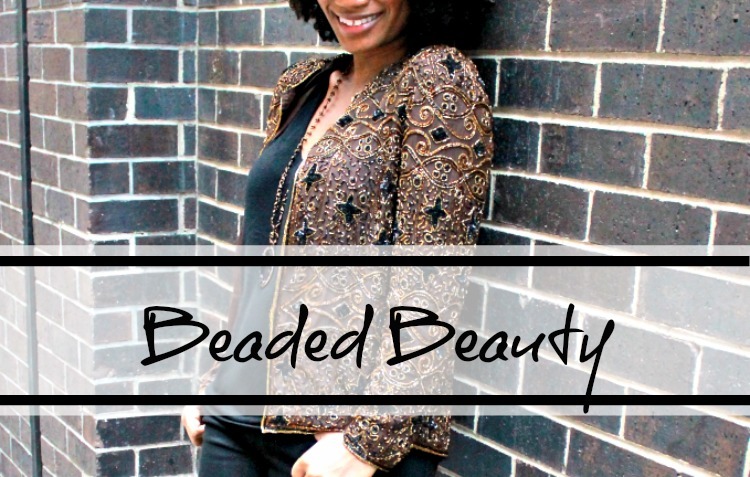 Since all things glittery, embroidered, sequined and shiny are in - I decided it was time to take this beaded beauty out of hiding and into the spotlight! What makes this jacket even more special is that it only cost me $9.96!! I can't help but to wonder what the original price of this jacket was considering the intricacy of the beading is to die for! I think you are super gorgeous! I need to know details on the hair! Is it a wash and go? Thank you so much!!! I'm going to work on a post with the details to my hair... look for it next week! I'll definitely have it in the shop by the end of the month... along with a few other goodies!! That is one beautiful jacket. beautiful. You wore this jacket well. sometimes all you need is a tee and jean and the whole outfit sparks with this gorgeous addition.